The Department of Intercollegiate Athletics is constructing a new, approximately 104,000-gross-square-foot field house along with renovating approximately 3,000 gross square feet of space in the Schembechler Hall locker room. The new facility will include a full-size indoor practice field for football as well as a lobby, vestibule, public restrooms and storage space. In order to accommodate the new building, the outdoor practice area will be relocated to the adjacent soccer field as part of this project. 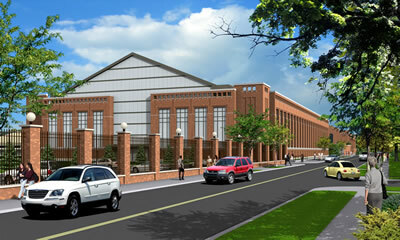 The project also will include the addition of approximately 20 new parking spaces.